There could be times when you want to publish a piece of content that’s not available for the general public, but only for your eyes or for the users that have access and proper permission (Editors and Administrators) on your website. 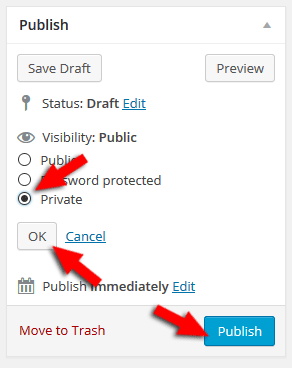 Fortunately, WordPress has a built-in feature for this too, which allows you to make your posts and pages private. The WordPress post or page you make private won’t appear anywhere in the article lists. Even if a normal user or a visitor will somehow guess or accidentally stumble upon the private article’s URL, he/she still wouldn’t be able to see the content! This is very easy and straightforward. 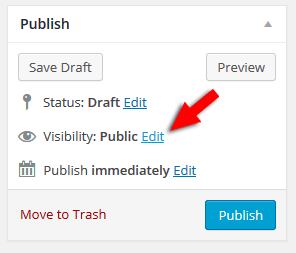 All you have to do is to create a new page or post, or edit an existing one, then go to Visibility, click on Edit, and set it to Private. Then click OK and the Update or Publish button. Told you it was very easy! Let’s see how it looks when you or anyone with appropriate permission views the post. As you can see, the word “Private:” appears before the post or page title. 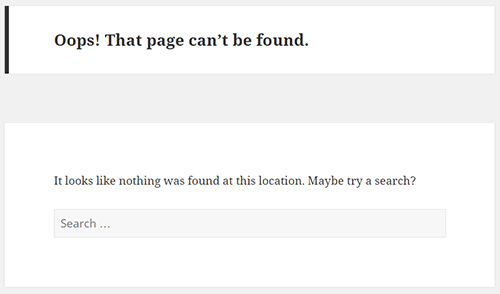 Now let’s see what happens if I search for that link as a simple visitor, without being logged in to WordPress. As you can see, the content was not displayed even if I inserted the correct URL for that post. You can always edit your private post or page and make it Public if you wish. Making your site completely private is also the best way to stop search engines from crawling your website if you wish or need to. Hope you enjoyed the post and found it useful and comprehensive! If you have any questions or thoughts that you want to share with us, please drop a comment or even contact us! 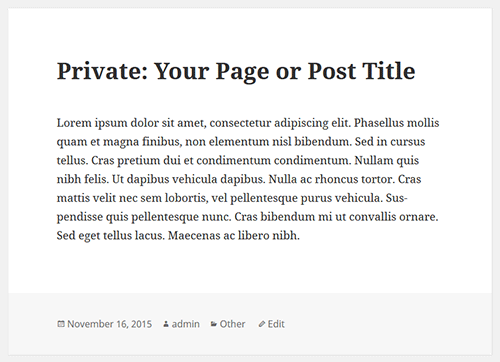 Really liked making WordPress site Private. Was searching for this and found your article.